The history of the Kutchinsky jewellery brand dates back to 1893 – the year Hirsch Kutchinsky and son Morris arrived in the East End of London, having fled Poland. The family had served as jewellers to the court of Ludwig of Bavaria and the first Kutchinsky shop on Commercial Road became known for its fine platinum and diamond jewellery. However, the brand today is associated with the products of a much later era. By 1958 the firm, flourishing under the aegis of Joseph Kutchinsky, had moved to the Brompton Road in Knightsbridge. It was producing a more purposefully ostentatious range of 18ct yellow gold and coloured gemstone jewellery that chose to celebrate the end of wartime restrictions and a return to the availability of luxury goods. The output was seldom dull – and many did dare to wear. 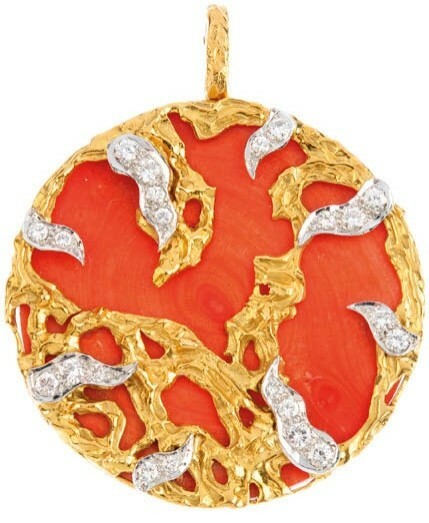 Perhaps in 1991, when the firm was sold to Moussaieff Jewellers, the fashion for such exuberance was on the wane. However, with Sixties and Seventies style part of the collecting zeitgeist, vintage Kutchinsky pieces are now common currency for the best of London’s antique and vintage jewellery dealers. 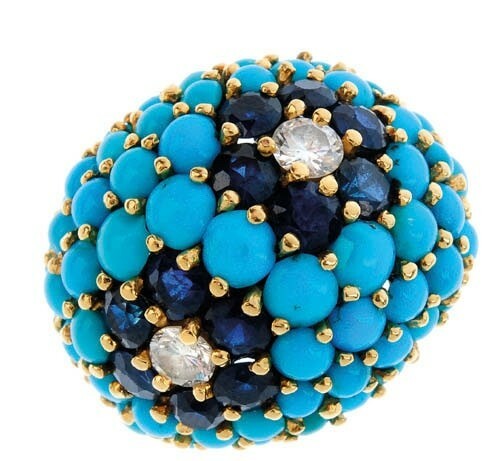 Characterised by high-quality craftsmanship, a bold use of colour (often achieved by semi-precious stones such as coral, lapis, turquoise and tiger’s eye), plus a love of whimsy and the downright kitsch, these designs are as eye-catching and wearable today as they were two generations ago. 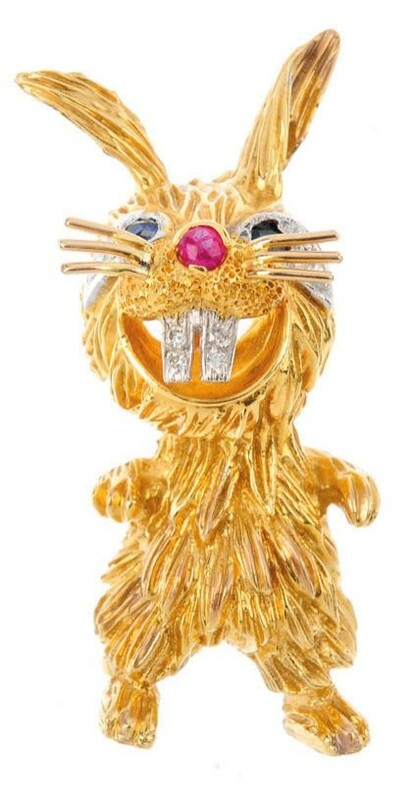 The menagerie of often comical gem-set or enamel animal designs are particularly recognisable as signature Kutchinsky pieces. Fellows’ January 18 sale included a strong selection of both turquoise and coral pieces, with keen interest from the trade. “The pieces were in superb condition, like they’d never been worn from the day they were first acquired,” Stephen Whittaker, Fellows’ managing director, told ATG. 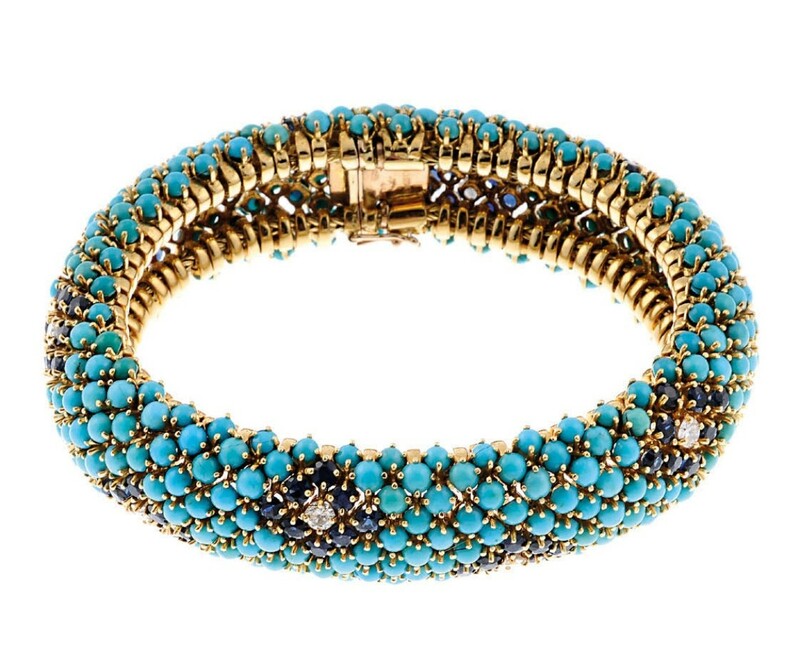 Highlights included a 1960s 18ct gold flexible band bracelet set with turquoise cabochons, brilliant-cut diamonds and sapphire kite-shape spacers. 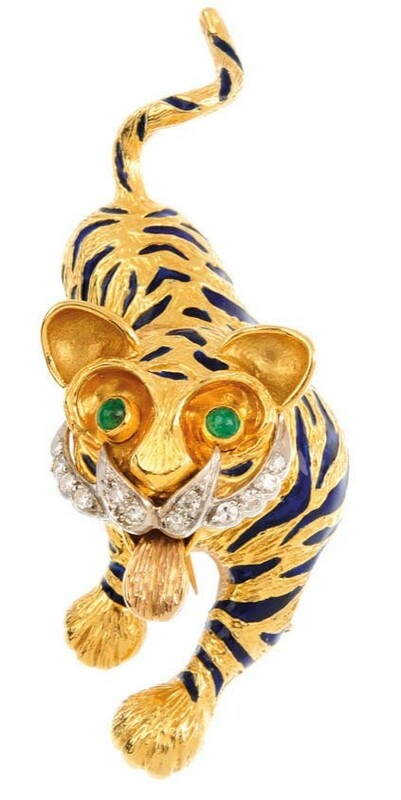 It sold at £5000 (estimate £3000-4000) with a pair of matching earrings bringing £2800 and a ring £2300. The coral and diamond designs proved particularly popular. Sold at £4100 was a 1960s wristwatch with a Le Coultre movement coral while a cluster ring with marks for London, 1970, took a multi-estimate £3500.